A confident Romelu Lukaku said he was "born for this" after a pair of goals in Belgium's draw with Mexico moved him level with the country's all-time leading goalscorers. 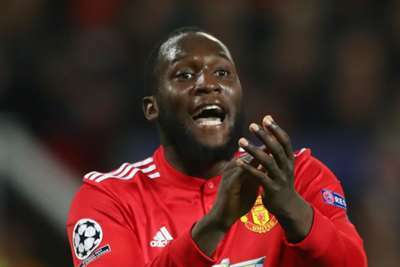 Manchester United striker Lukaku scored twice as Roberto Martinez's side were held 3-3 in Friday's friendly, his second salvaging the draw after Hirving Lozano's four-minute double put Mexico ahead. The 24-year-old is now level with Paul Van Himst and Bernard Voorhoof on 30 goals for Belgium and can set a new benchmark by converting against Japan on Tuesday. "I was born for this," Lukaku is quoted as saying by Het Laatse Nieuws. "I just want to score as many goals as possible. "I'm glad I matched the record. I knew I'd do it. I want to break the record before 2018. "But I really hope that this generation wins something. I want to get a trophy for this country."